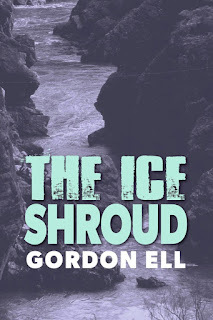 Today, I'm very pleased to welcome to Crime Watch a new face to the mystery scene, Gordon Ell, a man who's published many, many books but last year released his first murder mystery, The Ice Shroud. I first met Gordon years ago at a crime fiction event at the Takapuna Library in Auckland (a great venue). He came up to me afterwards and said he was working on a crime novel himself, after four decades of photographing New Zealand wildlife and countryside, and writing dozens of non-fiction titles and children's guides to our native flora and fauna. I realised later I that I already had one of Gordon's books (which I really liked); Wild New Zealand from the Road. "I very much like the well-drawn setting, and the past/present connection. Solid character development. I generally don't like it quite as well when the detective is personally involved with the victim, but Ell pulled it off." This Saturday evening, Gordon will join his fellow Ngaios finalists in Christchurch for the Great Lit Quiz and Ngaio Marsh Awards, where the winners of the 2017 Ngaio Marsh Awards will be revealed. But for now, he becomes the 170th author to stare down the barrel of 9mm. Who is your favourite recurring fiction hero/detective? Depends on different moods, different times: currently hard to get past Ian Rankin’s Rebus and Peter Robinson’s Inspector Banks. But how about Camilleri’s Sicilian police chief Montalbano and Ellie Griffith's Norfolk archaeologist Ruth Galloway. There’s been such a lot of titles and the ingenuity of these authors to sustain serial interest in their lead characters staggers me. Each character grows naturally out of their own ambience, which is part of the appeal. Over the years you could add in Van der Valk, Inspector Wexford, Morse and the Jim Chee and Joe Leaphorn of Tony Hillerman’s Navajo tribal police. What is the very first book you remember reading and really loving and why? Enid Blyton’s Five go to Smuggler’s Top: mystery and adventure, great setting and suspense, and a straightforward read for a child. Then to John Buchan’s The Thirty-Nine Steps, full of action, high stakes, again great settings and a resourceful hero. Before your debut crime novel, what else had you written, unpublished manuscripts, articles etc? A life working in media. 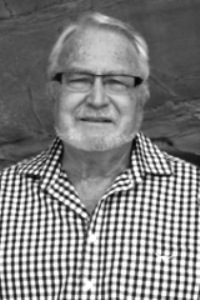 Started as a journalist, served as an Army PRO in Malaya, helped establish radio and TV news services in New Zealand, then established my own book publishing and documentary film company. I wrote and photographed books about New Zealand’s natural and historic heritage but turned to crime in retirement. Outside of writing, what do you really like to do? Exploring the outdoors and unusual places. Many great treks with my partner, in New Zealand and overseas, from Europe to the Middle East and Outer Mongolia. What is one thing that visitors to your hometown should do that isn’t in the tourist brochures, or perhaps they wouldn’t initially consider? The fossil forest at the north end of Takapuna Beach. Lava from a volcanic lake has overflown an ancient forest leaving casts of tree trunks on the reef. Magnificent coastal walk over lava rocks to Milford Beach. Bad days, Woody Allen; good days, Harrison Ford. Of your various books, which is your favourite, and why? My first book, about birds, is still being republished regularly after 45 years. I’m particularly fond of my books about signs of ancient Maori life still surviving in the landscape. What was your initial reaction, and how did you celebrate, when first accepted for publication? Or when you saw your debut in book form on a bookseller’s shelf? I shifted the book to the best position on the shelf and turned it face out to show the cover. What is the strangest or most unusual experience you have had at a book signing, author event or literary festival? Meeting a former girlfriend who expressed disappointment that I was not the man of the same name she had come to see. Thank you Gordon. We appreciate you chatting to Crime Watch. You can meet Gordon at the Great Lit Quiz & Ngaio Marsh Awards in Christchurch this Saturday. 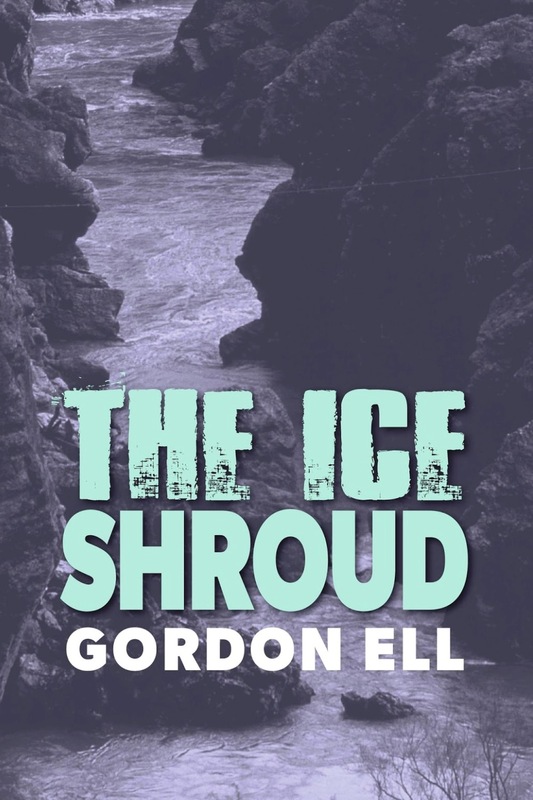 The Ice Shroud and his nature, wildlife, and other non-fiction books can be found at a range of bookshops and online.